Tumeric Latte is perfect for a cold evening, early morning or any time you need to indulge yourself. 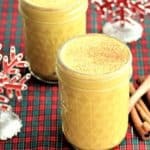 Ready in less than 10 minutes, this latte offers a smooth flavor with all the anti inflammatory benefits of tumeric. Santa needs this. If you prefer a tea or coffee flavor, you can prepare the latte, and use it as a creamer in your tea or coffee. I found that adding an Earl Grey tea bag to my hot latte created a variation that I love. Vegan, gluten free, dairy free, refined sugar free, it is sure to be a treat that you too, will love. 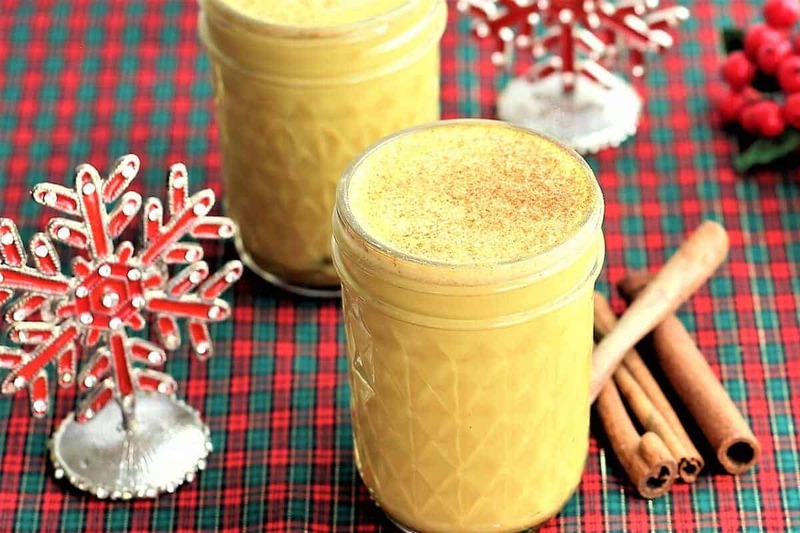 When you need to get away, chill out, or just enjoy--this Tumeric Latte is for you. Vegan, gluten free and dairy free. 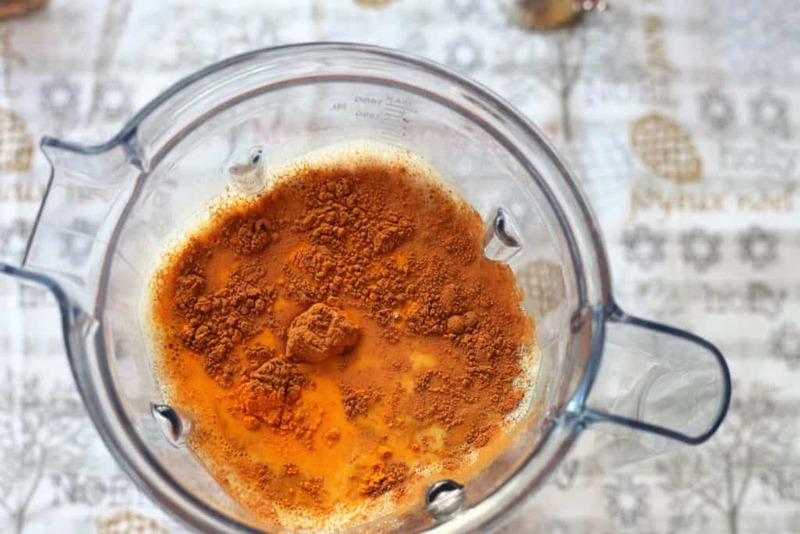 Add all ingredients to high speed blender and blend. Pour into pot and cook over medium heat until slightly bubbling. 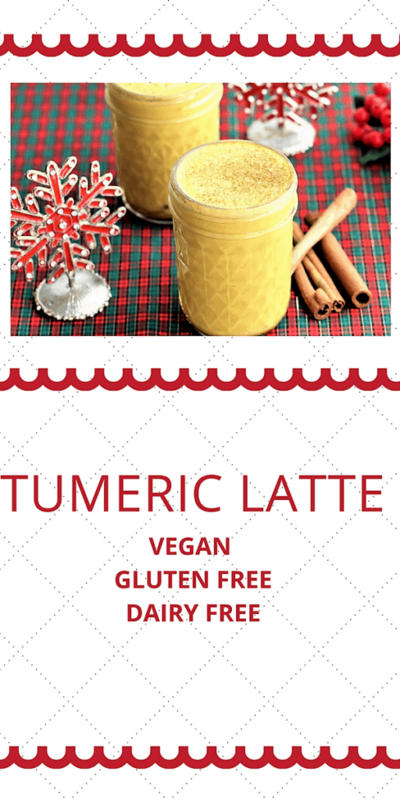 This recipe makes 2-8 oz cups of tumeric latte. If you have larger cups (12 oz), adjust the recipe accordingly. VARIATION: If you prefer caffeine with your latte, add an earl gray tea bag to each cup of your hot Tumeric Latte for a delicious alternative. This recipe was updated in September 2018.